Technology marketers are developing more content than ever in an effort to engage audiences and build brands by creating a compelling narrative around their products and services. But telling a story is only part of the equation. 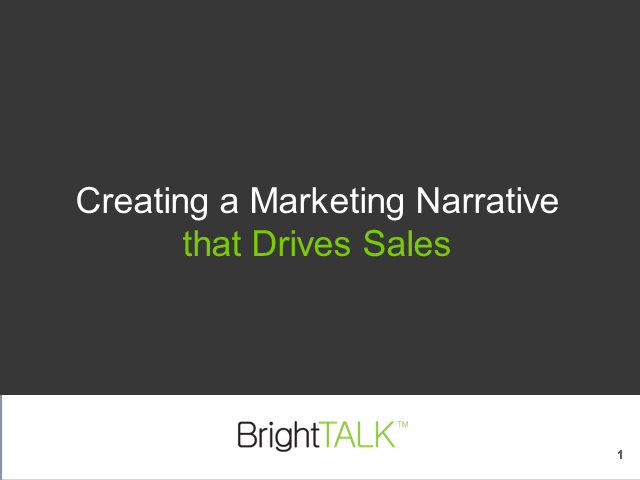 That narrative must be tightly aligned with the buying cycle in a way that identifies leads that need nurturing versus those who have demonstrated a clear and compelling need for your company's goods and services. Join in as independent blogger Mike Vizard and BrightTALK’s James Miller and Simon Gerzina discuss how to humanize content, align topics and presenters, map content to buying stages, and optimize distribution.